Women who are diagnosed and women who are not diagnosed with the killer disease, called "Breast cancer", for all , I have some important and useful tips or you can call it as tricks which may help you to lie life cancer-free. How does it feel to listen this word, "Cancer - Free"!!!!!!!!!!!!! Life has many steps and each step that we go ahead is unknown. Pretty true that it is unpredictable. Many don't have the symptoms of cancer and yet they are been diagnosed with it. Some think that "cancer leads to death". No. it is not like that. Actually, according to me, God has given you another opportunity to stay healthy and be fit. Physical fitness is the most important factor that really matters for these diseases. If you are not physically fit, then nothing can be achieved. There are many techniques that will help you overcome all the hurdles for living life cancer free. Firstly, being aware of is the most important factor. If you are aware of breast cancer or any type of cancer, then you are half avoided. If you want to do it full, then getting the right information is meaningful. Eradicating the fear of death also plays the unique role in treating any breast cancer patient. The patient always feels that she will die due to cancer even after getting chemotherapy or radiation. Emotional positiveness and no stress are the key factors. Know the symptoms, get aware of them as early as possible, get a perfect doctor if you find any lump, get it treated, etc. Your positiveness, carefulness, eager to get treated, eager to live life positively, knowledge of cancer treatments, sharing your experiences with others, all will make the doctors and your near and dear ones help in the event of your treatment. If your family history has cancer, then you have to be doubly careful for yourself. Just like Diabetes, cancer genes cause cancer. The genes includes BRCA1 and BRCA2. Coming to the treatment side, there are two to three types. Chemotherapy, Radiation , Hormone Replacement Therapy, and sometimes surgery is also involved. There is one more dangerous aspect that everyone ignores, and that is the use of cell phones. Well some have doubts regarding the cause of breast cancer due to cell phones. There are some rays emitted due to which the breast tissues get affected and due to this the tumor is formed. So, it is harmful to use cell phones or put it in these words, that do not use the cell phones near the breasts. Share your experiences to help others and spread the word of awareness among people. Can "Saliva Test" detect Breast Cancer? Day by day , this disease named "Cancer" is becoming more and more nightmare for all of all ages. Everyone wants to prevent it by all means. Getting it in a lifetime is like handling a ghost in house. Nobody wants this ghost in their lives. True and there has to be some ways that can prevent it effectively. After all it is a foreigner, isn't it? There are new and fresh techniques that are tested and proved to be effective in prevention of breast cancer by scientists. In my earlier posts, I have shared some information to my visitors with latest news like, blood tests to predict and prevent breast cancer occurrence and recurrence, genetic tests that determine BC, 101 ways to prevent BC, recipes for breast cancer patients, etc. Getting detected earlier is the most important step in treating breast cancer or any other cancer. Because, early detection means good treatment and less suffering, as compared to other stages of breast cancer. One who has been detected in stage 1 or 2 are lucky in that matter as their survival rates are more. Recently it has been found out that, like blood tests for eg: ICH4 test and Cellsearch test, which are capable to predict the cancer whether it is occurring or recurring. Similarly, there is one more test called as "Saliva test" that can predict the occurrence of breast cancer. Now what is Saliva test? It is a way of testing the hormones , its status and its balance in the body. On the basis of this test , one can predict the occurrence of breast cancer.It a is also called as "Saliva Hormone testing". Vitamin D and mineral iodine, are the main and key ones in our body that play an important roles in maintaining the breast health. If anyone of them loses its balance, then there is a possibility of getting high risk of breast cancer. Other hormones like Estrogen and Progesterone, also go hand in hand with the maintenance of breast health. Estrogen is a hormone which takes care of cell growth and Progesterone is a protective hormone. In our body, there is a wear and tear or cells and tissues constantly in progress. If in that , new tissues are formed then the old ones and dead ones has to be shed down from the body to replace the new ones. If this doesn't happen then there is a possibility that the dead ones may make a house in the body which then turn out to be unwanted cell growth and then take the form of tumor. The lymph nodes play an active part in shedding the lymphatic fluid from the breasts. If they don't do this , then again like above the unwanted fluid form a tumor. While doing this Saliva test, there is a need to inform your family doctor for Comprehensive Plus Panel Saliva Kit. All have the fear of getting breast cancer. And why not? It is such a disease that may harm full body even if it is treated with chemotherapy and radiation. There may be some way out there which can really prove effective to treat breast cancer or let us say to prevent the disease from occurring. Now its high time that every woman should fight against it , even if anyone is suffering from it or not. Feel very bad for those women who have gone through the treatment and its side effects. They have come out of it but still after so many years, they are crying for pain in the hands, fatigue, tiredness, etc that are the side effects of chemotherapy and radiation. And the most important fear that is always in the mind of the women or the patients is , "Will it occur again ?" This doubt is always in their mind and always they keep on asking to everyone. Unfortunately, the answer for this is ," May be or may not be" . What else can one say!!! Even Oncologists and Radiologists have no answer for this. If asked they say that , can anyone predict about heart attack , for example , if occurred once will never occur or attack again in the lifetime? Yes, but there is a difference between a heart attack and cancer. The main difference is that there is no need for heart attack patient to take treatment that kills the good cells in the body also with the cancer cells in the chemotherapy. Heart attack can occur twice or thrice, but if cancer occurs likewise then , what will be the patient's body be ? In my previous post, I have specified about some new technologies that detect the breast cancer. The robots may take this responsibility to find out the breast cancer cells in the body which may be a form of detecting the disease in the early form. Also there are 5 mobile apps that prevent breast cancer. With the rising use of Facebook , a social networking giant, recently came up with a new Facebook app called "Circle of Support" app that gets connected with the fellow breast cancer survivors. This app is specially designed for Metastatic Breast cancer patients (MBC). To avoid the patient from all the pain that she goes through, I have listed some important ways that are natural in treating the breast cancer or preventing it . Acupuncture: A way of treating breast cancer. The actual term is SHAM Acupuncture. Now what is SHAM acupuncture. Acupuncture originates from ancient China, that treats patients by manipulating skin with the use of needles. In an article, there is nice clarifications of breast cancer and acupuncture. SHAM acupuncture is said to treat most of the side effects of breast cancer treatments. Aloe Vera: The best ayurvedic remedy for breast cancer. The medicine that is prepared from Aloe vera has no side effects. Not so costly and easy to prepare. The main ingredients in preparing the medicine needs, 2 - 3 leaves of aloe vera , half kilo of honey, 4 teaspoons of distilled liquor. the leaves, honey and liquor and stir them well. Preserve this in a cool place and use this as a medicine. Take one tsp three times a day on an empty stomach. This should be taken atleast 15 minutes before meals. Any type of cancer can be cured with this medicine. Sometimes for some people, they may experience reactions for this medicine like nausea, vomiting, or dysentry. In that case, patient is advised to take plenty of fruits and plenty of water to drink. In one of my posts, you will get the details of all the ayurvedic items that can be used to cure breast cancer. Treat Breast Cancer Naturally. Yoga : For breast cancer treatments . Below is a video that will help you in guiding the best yoga pratices for breast cancer patients. Will Robots detect and cure breast cancer? Have heard of ROBOTS? Well,a robot is a mechanical or virtual guided by a computer program to perform certain actions. The future is Robotics. There is a news updates regarding the treatment , cure and diagnosis of breast cancer. Even before an oncologist diagnose a patient with breast cancer, the robot will (if guided) will sense the cancer cells in the human body. A Robotic Hand, called as Med Sensation glove, is said to detect abnormal breast cancers lumps to the enlarged ones. It is a type of glove that has sensors which can detect vibrations, sound, and temperature. It has an accelerometer with a buzzer system that will buzz on if examined on the area. Also it can detect the exact size of the lump and where the lump is located. This can be done even before opting for mammograms or MRI. A sports bra: Other than that earlier in 2012, it was updated with a high tech garment which actually looks like a sports bra, known as "First Warning System". According to the makers, it is a first warning technology that allows a patient to wear simply a sports bra that contains sensors for early warning of breast cancer. A true way to prevent breast cancer, in a way. The screenings of FWS are accurate, accessible and affordable. In an article recently , by Stephen Webster, also suggests this new change and new technology that detect breast cancer. "Smart Bra" to detect breast cancer. Now A ROBOT: DNA robots are in news that can detect and cure breast cancer or any type of cancer. 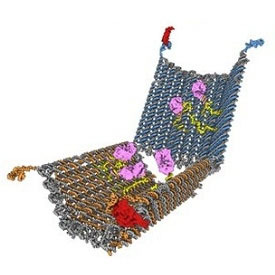 The DNA nano-robots is the correct name that can do so. DNA is known to us. It is a part which makes us all who we are. As the technology goes more advanced, the latest updates are like developing mobile applications (Smartphone/ Android / iPad) to detect the breast cancer in the early stages or prevention of the breast cancer treatment. You just have to download it and get the apps on your Android or Smartphone or iPad. It is as simple as that. You may not be aware about the facts of using the apps that are related for breast cancer!!!! What is breast cancer to do with the apps? Well, today all use the Smartphones and Android. Now the health is in your pocket. As they say, "Health is Wealth". Means, now you are more wealthy than earlier as you can get the mobile apps for your betterment of health. There are many apps available in the market. But here I have listed some important and most useful ones for you. If you want to detect the breast cancer in the early stages if there is a pattern of breast cancer in your family which is due to hereditary and genetic mutations, you should be aware of this early and can detect early and can prevent the treatment by taking proper medications. Early Detection Plan ( Free) : This particular application developed by the National Breast Cancer Foundation helps women to perform routine breast self-exams.The app reminds via push notifications to perform routine breast self-exams. It’s also fully loaded with information about breast exams, mammograms, risk factors, signs , causes, symptoms and treatment. Download this app from here. Breast Cancer Mini report : (For Android): This app is specially designed for women who want to eliminate breast cancer or prevent it from happening. To get this app, you should have an Android and is free for Android users. Its size is 1.2 MB. BSE aware mobile app: This app is free and is currently under development. This will help to provide women with the information on breast self examination. The proper techniques of breast self exam, send reminders via text or email. This app is available from iTunes. Breast Cancer 411: This app is specially designed for iPad users. It provides information on latest news from the medical history related to breast cancer research. This app also allows to share on the Facebook and Tweet the current research on breast cancer. To install this app, you need iOS 4.2 or the later. Breast Cancer care app: This app developed by Nutrition networks, is designed for women who want to prevent breast cancer. It uses location based GPS to inform the nearest National cancer institute. This app provides online help on breast self exams, awareness, diagnosis, treatment, prevention, etc. Breastcancer.org recently has launched their new app called "Breast cancer diagnostic guide" app which will be compatible only on iPhone, iPod touch and iPad. This app can be downloaded from iTunes or Google Play. The app will guide the breast cancer patients through the diagnostic tests and the different types of stages . Also the blood test report will be shown. To know more about this app , visit here. Circle of Support app for Metastatic Breast Cancer patients. 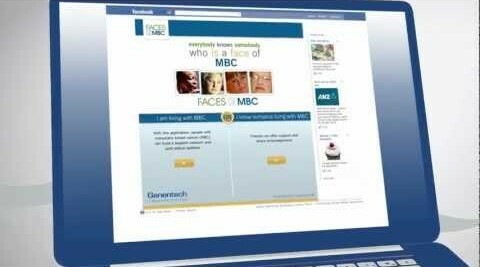 In the news section recently updated was launch of a new Facebook app that can support a group of patients suffering from Metastatic breast cancer. What is Metastatic Breast Cancer? It is a stage in which the cancer has spread to the distant metastases. It is also called as Stage IV breast cancer. The most common sites for metastasis are the lung, liver, bones and brain. Now talking about the face-book app, recently I have read somewhere regarding launching of the new face-book app that can really make wonders. Its main intention is to support the patients who are suffering from Metastatic breast cancer from many days. The app is named as "Circle of Support". The Circle of support app , allows to share their struggles and also get some quality support from other friends. What else you can do with this app? Well, a person who is already been diagnosed with Metastatic Breast Cancer (MBC) can choose Facebook friends who they like to join or share thoughts with. It is nothing but a type of support network. Other than sharing, he/she can choose suggested support activity like weekly phone calls, dinner , picnic, outings, movies, etc. 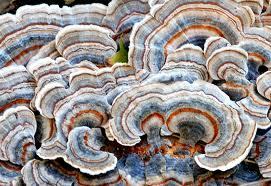 Trametes Vesicolor: This is the actual name of a type of mushroom which is small in size. It is commonly called as "Turkey tail". Now where is this Turkey tail found? As per the experts of mushroom, this is found in the North American woods. Recently, many women who have completed chemotherapy and radiation, were asked to take turkey tail on the daily basis. And to surprise, the women's immune functionality was enhanced. This research was done on the women who had been diagnosed stage I , II and III . The main effect of turkey tail mushroom is to enhance the most critical cells' working, i.e T-helper cells. Cancer patients lose their immune system and so get tired and fatigued. The main concern of the this mushroom is to build and regain the lost immune system and the good cells that are damaged due to chemotherapy and radiation. Simple way to take mushroom for cancer patients: 2 or 3 grams of turkey tail daily in the form of powder.